November 16, Fineko/abc.az. Azerbaijani President Ilham Aliyev has taken part in the opening of the plant of non-ferrous metals and ferroalloys of Baku Non-Ferrous & Ferroalloy Company LLC, which is a resident of Sumgait Chemical & Industrial Park. 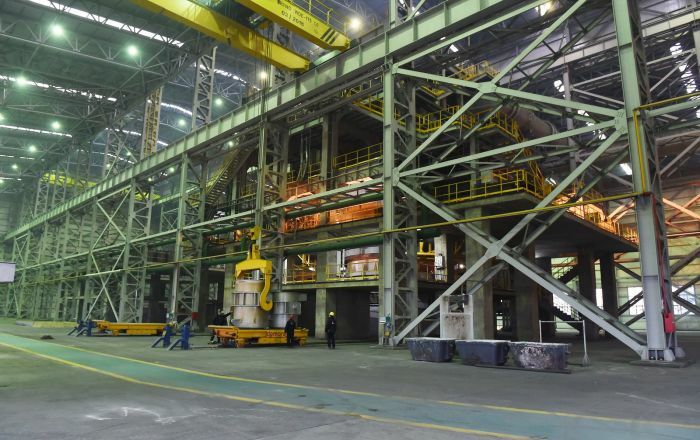 Rasim Mammadov, the chairman of the Supervisory Board, informed President Ilham Aliyev about the planned construction of the 3rd phase of the project in the near future – a shaped casting plant. This plant will produce output used in the field of mechanical engineering, agriculture, and mining. The investment cost of the plant is $25 million.